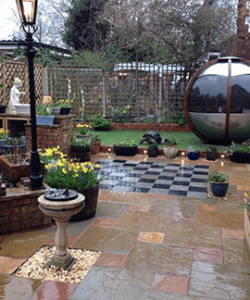 The boundaries of your garden can make or break it’s feel of safety as well as the overall look and feel. 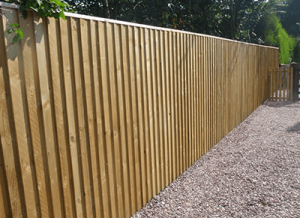 There are two main types of fencing that we install : Waney Lap and Closeboard / Featherboard. Waney Lap has the classic English appearance with its natural overlapping lines. 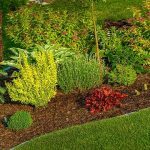 It has been around for centuries and outlines the classic garden. 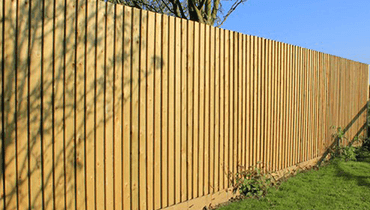 Closeboard Fencing (Featherboard Fencing) has a sharper, more modern look. 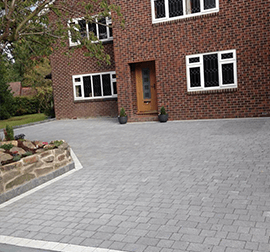 It’s strong vertical lines complement modern surroundings and garden architecture. 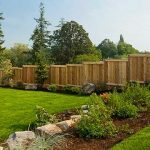 We offer free help and advice when choosing the right type of garden fencing for your home and a free garden design service for both small and large projects. 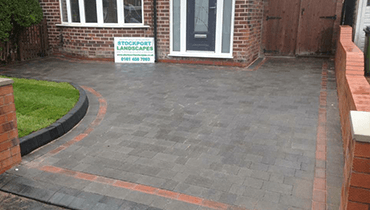 There is an endless choice of garden paving products on the market. 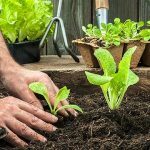 Choosing the right one is a matter of personal taste and relevance to the overall look or theme you wish to create in the garden as a whole. 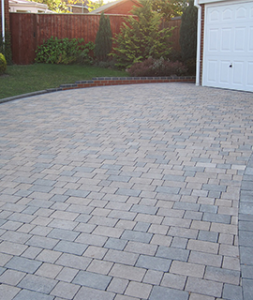 There are two main types of garden paving to consider : Natural Stone or Concrete Paving. 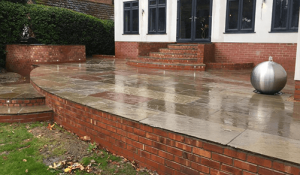 Natural stone can be incorporated into both traditional and modern contemporary gardens. 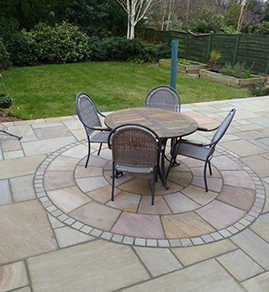 Take natural sandstone for instance, each piece has a unique blend of shades and pastel tones making your patio completely bespoke. Finished with a natural “riven” face or sawn smooth face. 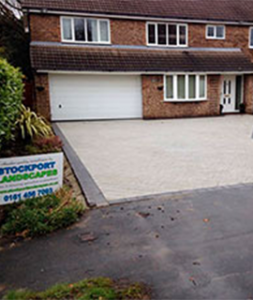 Other alternatives are Granite, Slate, Quartz, Marble and Limestone for example. 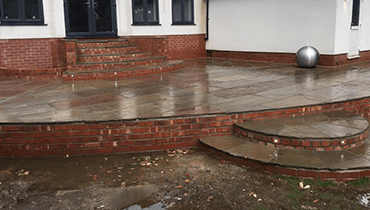 We offer free help and advice when choosing the right type of garden paving for your patio and a free garden design service for both small and large projects.